ALSO! IT'S THE LAST DAY!! 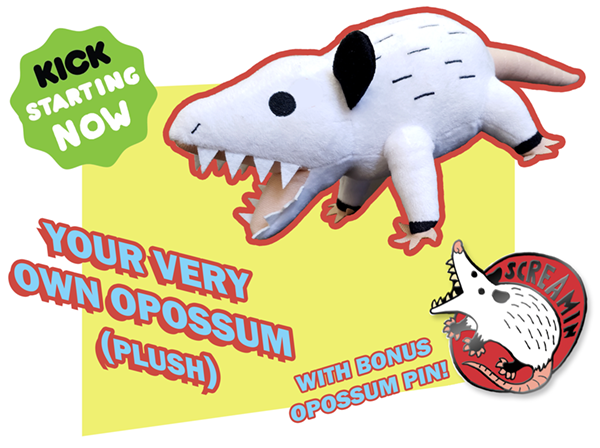 The Kickstarter will end around 10am tomorrow mornin! So look out, don't let these opossum lads pass you by.